s on the machine a try. on to make quite a few of these totes. I haven't made one yet. I finally, begged her to make this one for me! the length of the straps, the size. Accquilt with the hexagon die or cut by hand. I know Des has done both ways. 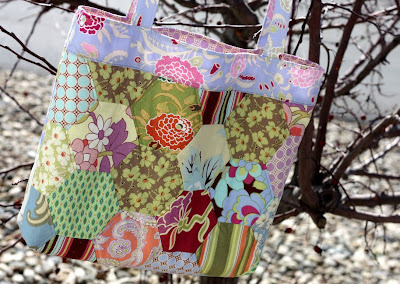 if you want a super cute tote for Spring. The kit includes everything you need. There are also patterns in the store. What a cute bag! I don't know if I'd be up to the challenge of the hexies, but it's beautiful. 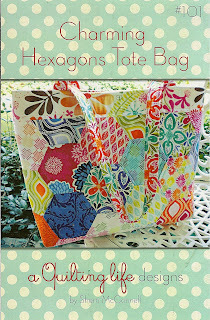 I lve the look of the hexies on this bag! 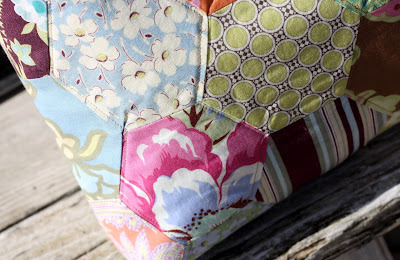 such a sweet pattern and aren't hexies easier to sew on the machine! awesome line for this bag! That is a wonderful design. Very cute. Gorgeous. 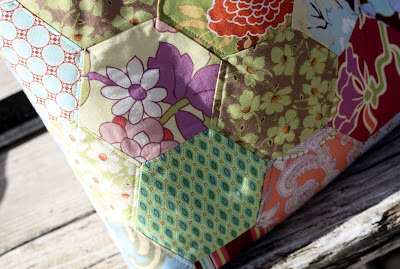 I have never tried hexagons on the sewing machine, so far I have done them all with EPP. 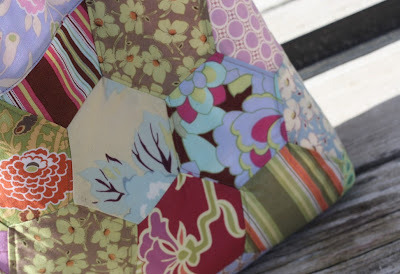 Last year I made 4 bags by hand which each used 60 hexagons each. I found it rather addictive. Very fun... and a spring tote is a perfect idea! Love the tote! It turned out so cute.